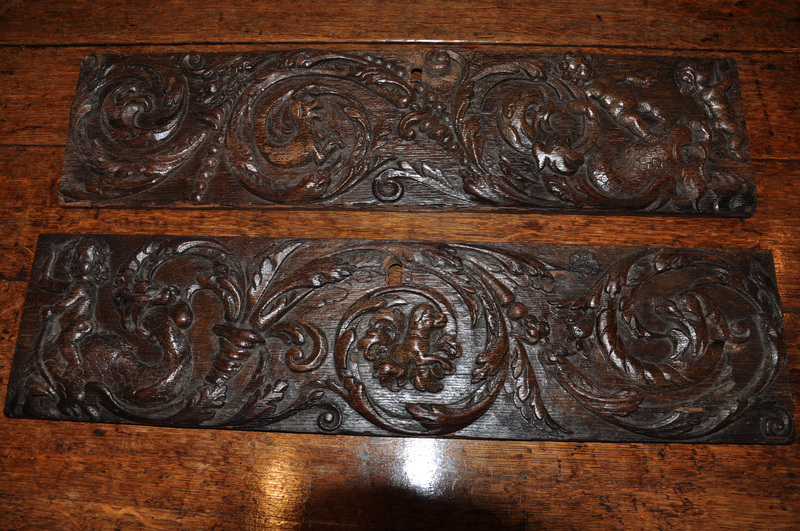 A Pair of superbly carved 16th Century Flemish Renaissance sections probably originally part of a large cupboard. 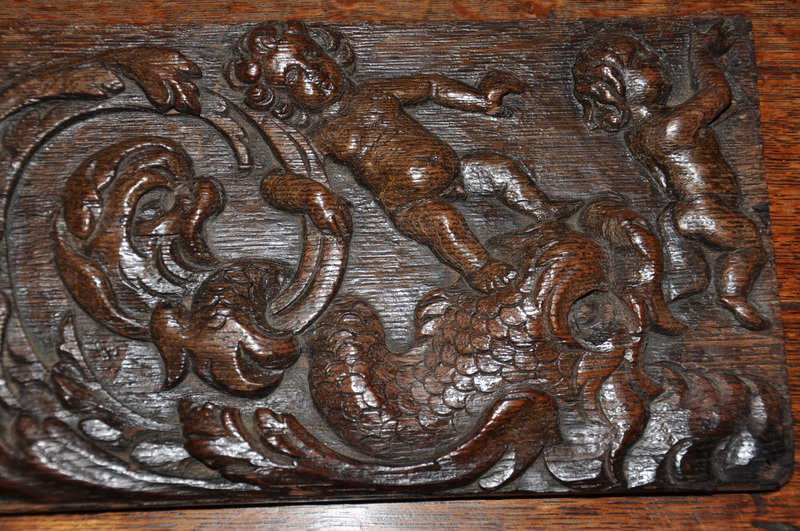 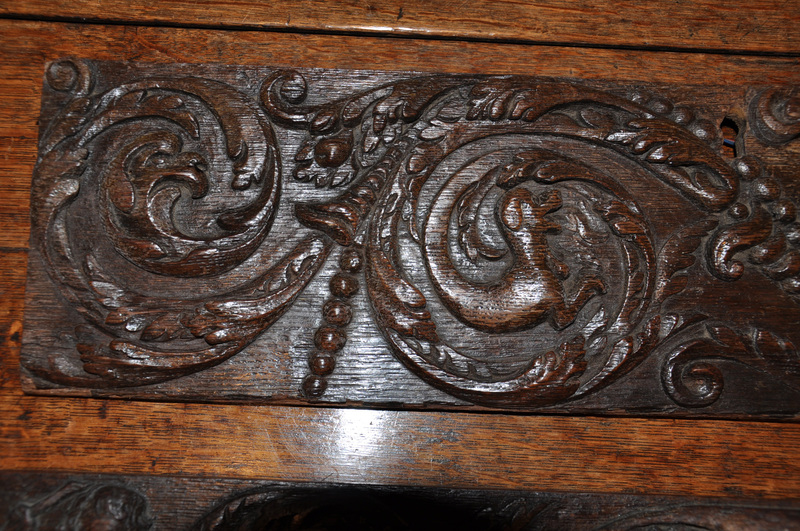 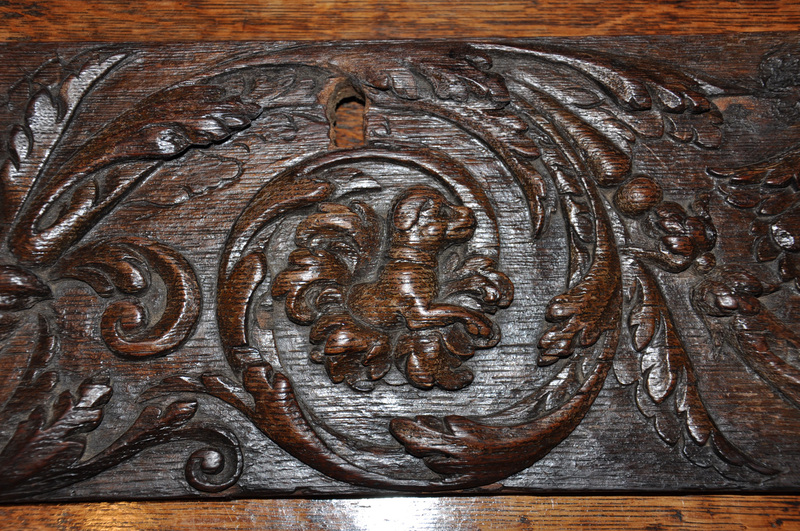 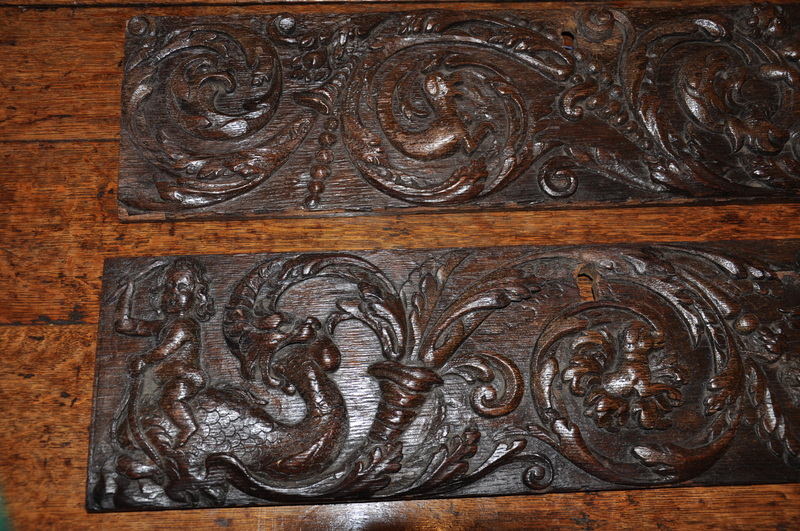 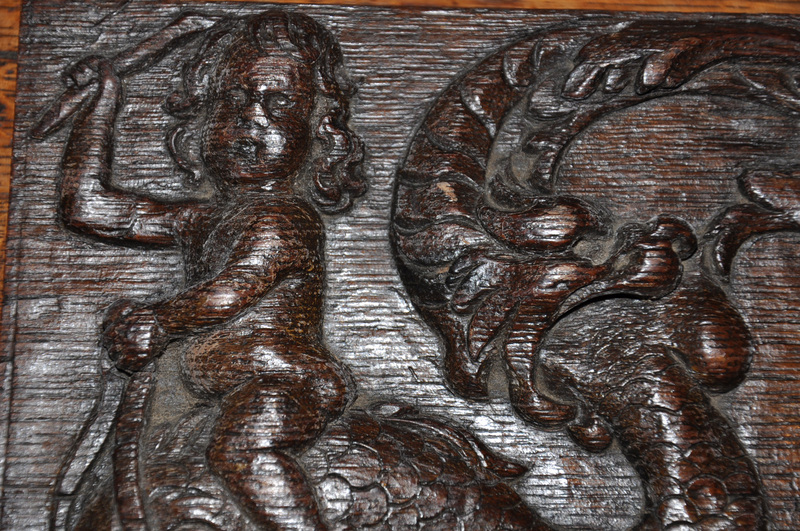 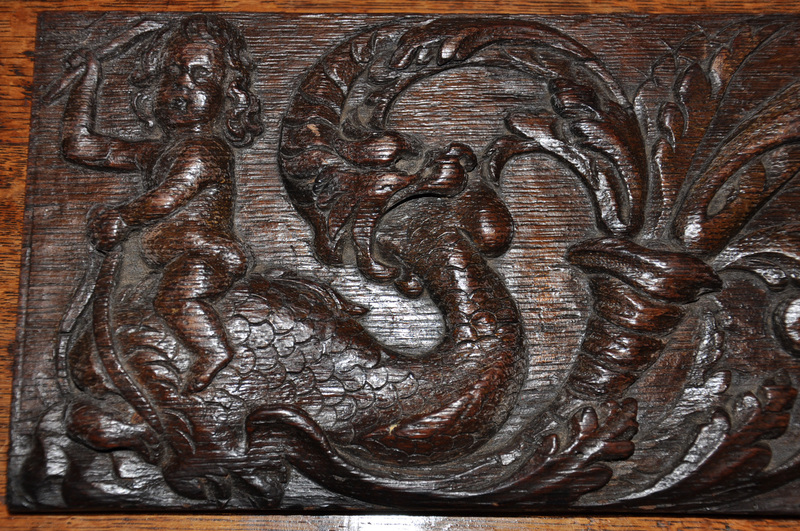 The carvings depict cherubs riding dolphins with sea serpents snapping at there tails. 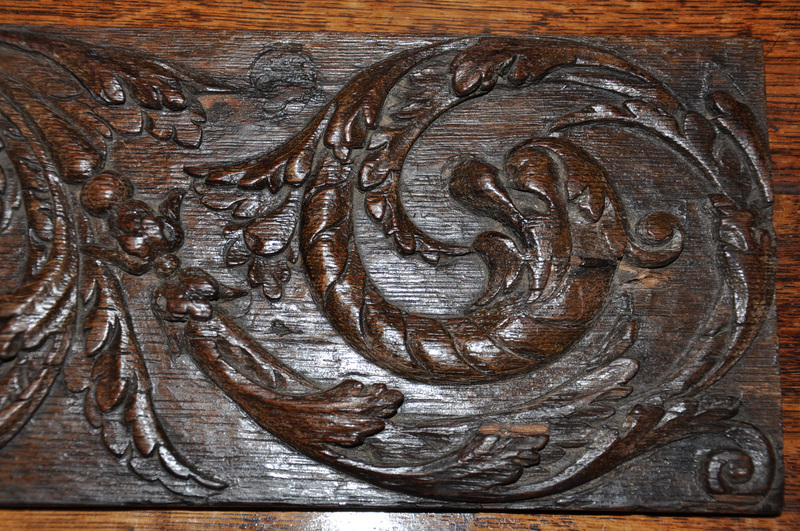 The flowing scrolls that form the carving are typical of high Renaissance work.